This popular, field-tested guide for identifying trees in any season, not just when they are in full leaf, features 600 color photos and 200 line drawings showing bark, branching patterns, fruits, flowers, nuts, and overall appearance in addition to leaf color and shape. Accompanying text describes common locations and identifying characteristics. 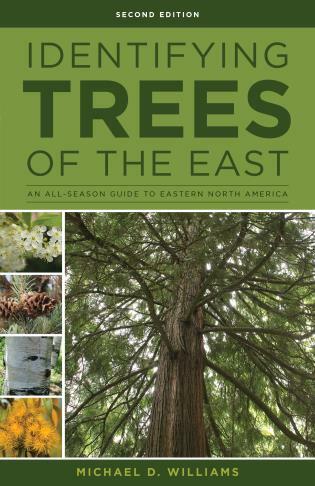 Covers every common tree in eastern North America, updated with the latest taxonomy and 130 range maps. Created for in-the-field or at-home use, this helpful guide includes an easy-to-use key to facilitate putting a name to a tree. Michael D. Williams was widely known for his ability to explain complicated forestry concepts in terms that are fresh, simple, and practical. He worked as a forester with the Tennessee Division of Forestry.